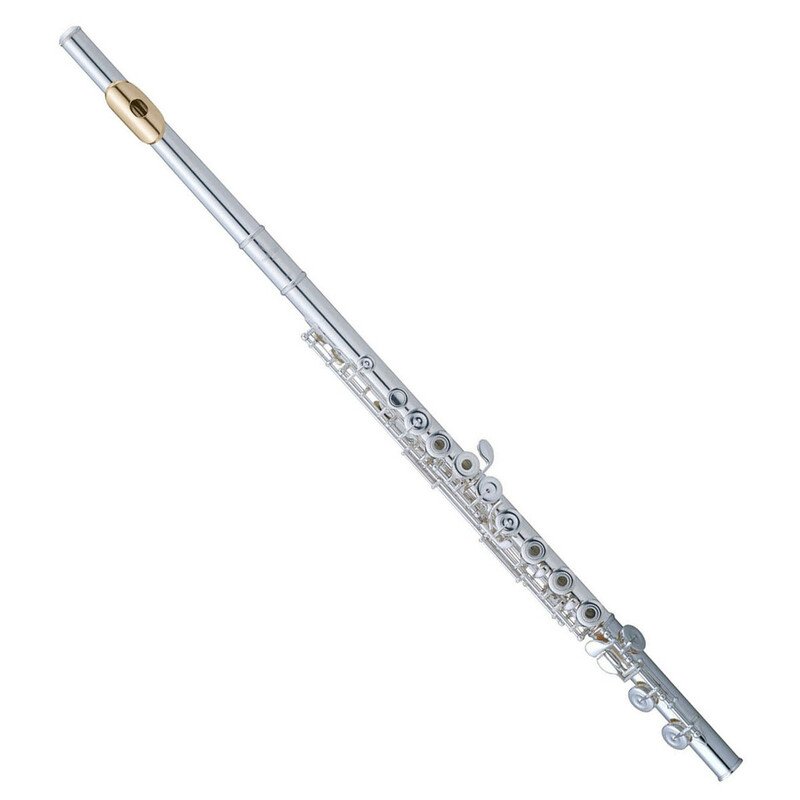 Leading the field with a tradition of innovation, Pearl boast the Dolce 695RE-VGR Vigore Flute, built in the same mould as the acclaimed Elegante series. Featuring Pearl's very own, groundbreaking one-piece core-bar, and pinless mechanism. The Dolce Flute embodies the most incredible refinement of the Boehm flute mechanism in more than 100 years. Carefully designed with French-pointed arms, the 695RE-VGR houses a sleek and sophisticated modern design maintaining the same spirit and character as the Elegante flute. Featuring the Pearl's unique Forza head joint, the 695RE-VGR offers a superior response and a richer, more powerful tone than others in its class. Delivering the most incredible sound projection and tonal depth, the all-new 'Forza'-cut head joint offers a greater edge and more 'bite' in the sound. Packed with everything you need to get started, the Quantz flute comes with a faux leather-bound wooden case, cleaning rod, cleaning cloth, a plush lined case cover with side pocket, and a shoulder strap for comfort carry. What more could you ask for? The Vigore models from Pearl's Dolce series feature a Sterling Silver "Forza"-style headjoint with a solid 3K Gold lip plate, producing a vibrant, full-bodied tone with incredible projection. The Vigore also features the C# trill key, which drastically simplifies a number of awkward trill and tremolo fingerings, as well as improving clarity and pitch stability when playing open C#. Along with the D# roller, which makes it easier to achieve a fluid transition between the D# key and the lower keys of the footjoint, these features provide the instrument with excellent playability and a truly professional sound quality.